Let’s talk about one of the decade’s biggest pop culture events: the modern music festival. Gone are the days of Woodstock, where the highest tech device for 100 miles was an electric guitar. Arguably the world’s most famous music festival event, Woodstock set a standard for what many festivals look like today. But, obviously, a lot else has changed since the late 1960s. Modern music festivals have evolved into high-scale cultural events. Today, these events attract people from across the country and around the globe – and many individuals can now experience live musical acts with new innovations like Periscope and Meerkat. Nielsen Music reports a documented 32 million people physically attend at least one music festival every year, the equivalent of all the Texans in Texas (the second-most populous U.S. state). Technology has changed the way we hear, see and experience music in the 21st century. How can we navigate all of the options presenting themselves in today’s digital age? Look no further than your 4G LTE-connected tablet to help you meet all the music-related goals on your bucket list this summer. Here’s a complete guide to turn your tablet into your musical soul mate. Stay on top of the latest, greatest music news. The tablet is not only ideal for reading your favorite music blogs and online news, but also experiencing the multimedia content many offer - all portably and at your fingertips. Whether you’re streaming video from concerts on the other side of the world or digesting podcasts and photo galleries, your tablet brings it all to life. Music news apps such as Rolling Stone Magazine and MTV News provide breaking news, the latest interviews with the industry’s biggest stars and highly-anticipated album reviews. You can also adjust your notification settings to receive alerts in real time. If music festivals are your thing, many music publications such as Billboard even have a festival-focused news beat, which often contains on-the-ground updates and extensive profiles of new and emerging bands. Plan your summer music adventures with a tablet optimized for productivity. During the summer, it can seem like a new outdoor music event pops up every weekend and sells out within hours. 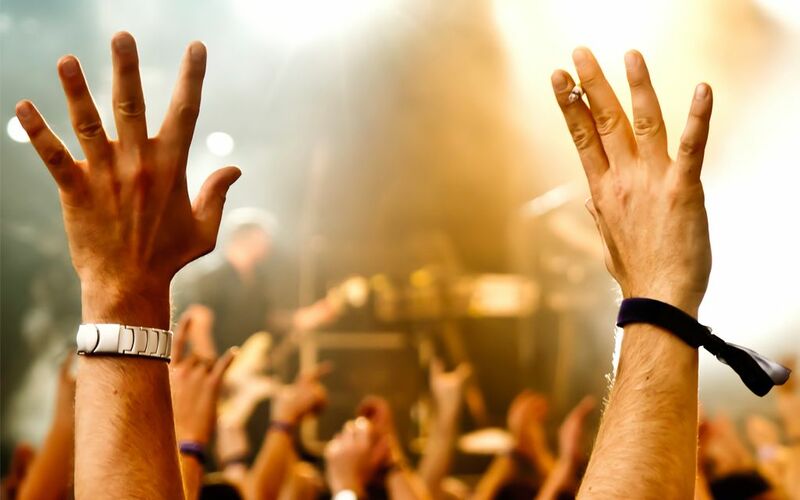 Don’t miss out on the latest music acts in your area with a helpful app called BandsInTown Concerts which alerts users of breaking information surrounding shows and other appearances of acts in your area. Don’t forget to document your experience accordingly, too. Many photo and video apps on tablets come with a button that easily shares your special moments to Facebook and Twitter. Furthermore, bring a good portable charger like the Mophie Powerstation to quickly power your devices on-the-go. You may, however, want to leave your selfie stick at home. Discover new music to constantly evolve your musical palate. Discovering new music is half the fun! Put this year’s next summer anthem on your radar with apps that encourage you to branch outside the genres you love with “recommended artists” features. For instance, Rormix is a music discovery app featuring unsigned artists and bands to give you an edge on the industry’s rising stars. Apps such as SoundHound give you the ability to hum or sing a song and, like Shazam, identify the tune, see lyrics and learn more about the artist you just discovered. You can also share your favorite songs to Facebook and Twitter or download the song instantly in Google Play. Band Of The Day helps audiophiles find the best new music by delivering one new artist a day through expert curation. Because music is something that can be enjoyed socially, as well as alone, Soundwave acts as a music social network that allows you to see your friends’ favorite artists, find other like-minded tastemakers, share playlists and chat about songs. And there you have it: now you’re ready to experience all that music has to offer this summer. Fire up Spotify and throw on your Beats Solo2 Wireless Headphones, because you’re ready to rock (and roll).